A Pew Research Center poll in 1969 indicated that 12% of Americans supported the legalization of marijuana, and the same study estimated that at that time, four in 100 Americans had recently smoked marijuana. In 2013, a Gallup poll found that the number of Americans supporting legalization had risen to almost 50%. In recent years, 20 states plus the District of Columbia have legalized medical marijuana. 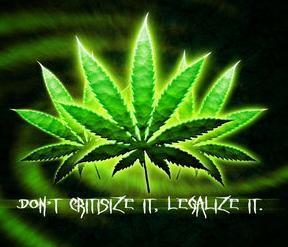 Colorado and Washington State have legalized marijuana for recreational use. Oregon is likely to do so in the near future. According to the National Organization for the Reform of Marijuana Laws (NORMAL), sixteen States have decriminalized possession of small quantities of marijuana beginning in the early 1970’s. Recently the National Institute on Drug Abuse (NIDA) has begun to comment on increasing sentiment of Americans for the legalization or at the least liberalization of marijuana laws. In response to a campaign by the Marijuana Policy Project, which stated that marijuana is “less toxic” than alcohol, NIDA said that: “Claiming that marijuana is less toxic than alcohol cannot be substantiated since each possess their own unique set of risks and consequences for a given individual.” PolitiFact, which fact-checks claims made by politicians and special interest groups agreed that the claim that marijuana is less toxic than alcohol was “mostly true.” They quoted studies from the Centers for Disease Control’s (CDC) National Center for Health Statistics which revealed that more than 41,000 deaths were tied to alcohol in 2010, while zero were reportedly linked to marijuana. In addition, the CDC lists “1.2 million emergency room visits and 2.7 million physician office visits due to excessive drinking.” None were reported due to excessive marijuana use. Meanwhile the federal government’s stand is moving slowly, the states are expected to continue leading the movement towards legalization. Alaska will likely put a complete legalization ballot before voters next year, and Maine, Rhode Island, California and Oregon may give voters the option in 2016. “I think a lot’s going to depend on how legalization plays out in Colorado and Washington — also, how the federal government responds,” Kilmer said. “We still haven’t heard how they’re going to address commercial production facilities in those states.” The next White House administration could take a harsher stance against the state’s movement towards legalization. One thing is clear – the nation is a lot closer to the repeal of prohibition of marijuana than it has been in many decades. This wave of changes in our country does not diminish the fact that possession of marijuana is still illegal in North Carolina – a misdemeanor for less than an once and a half, and a felony for quantities greater than an once and a half. If you are charged with the illegal possession of any drug, or other contraband in or around the Wilmington NC area, call Collins Law Firm at 910-793-9000 910-793-9000 for a confidential consultation about how we can help.